Are you ready for a heart-pumping, adrenaline raising battle of epic proportions? 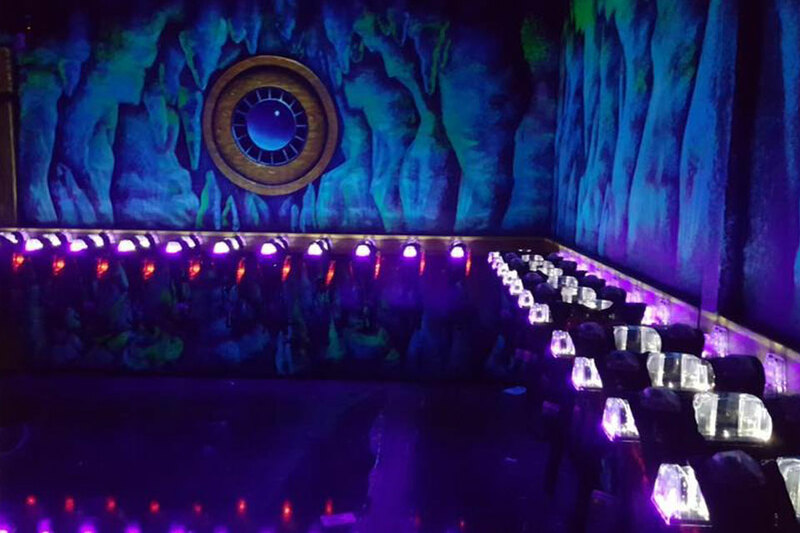 Then gear up for the thrill ride of your life with our Laser Tag today! Laser Tag is like a real life video game. It combines the classic game of hide-and-seek and tag with a high tech laser phasors. 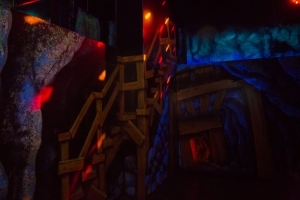 As you sneak through a black-light mine shaft,there’s a gem seeker around every corner, putting all your senses and reflexes on alert. The multi-level mine shaft is filled with swirling fog and dangerous fun lurks around every corner. After your mission briefing, each miner gears up with a lightweight, light-sensitive vests with attached phasor. Next, you enter an underground mine with your fellow miners, ready to seek and stun the other team of miners trying to stun your fellow miner sand destroy your gem mine for points. Beware! The arena is a maze of barriers, strobe lights, black lights, base camps, and more. Loud heart pumping music keeps you moving as laser beams criss cross through the fog. Opposing team members appear out of nowhere. Make sure you stun opposing team before they stun you! If you get stunned you won’t be able to fire for a brief period, so keep your eyes peeled for good cover. Stun the other team by hitting targets on their vest and phasor and capture the other team’s mine for points. The team with the most points wins the round! LakePoint Station is a great place for your next party, group, or corporate event! 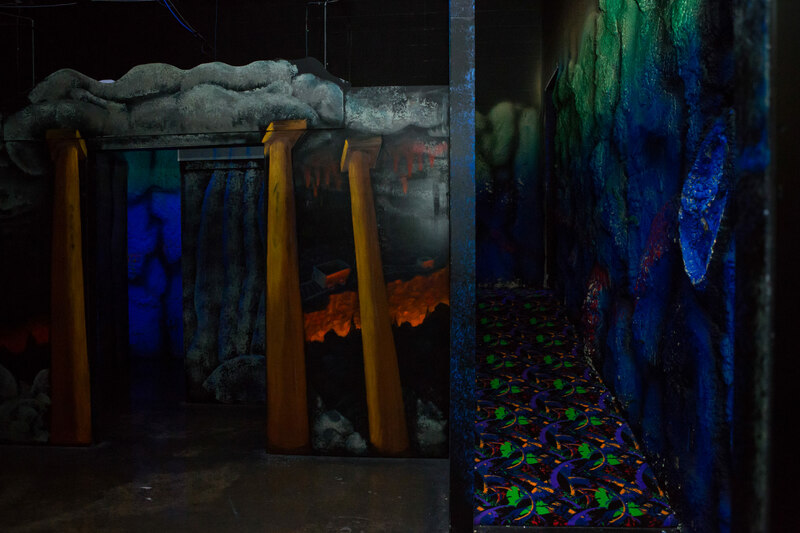 More than just a family fun center, it is a full-service experience that’s loaded with fun and value for everyone –including awesome attractions, modern gameplay, delicious food and beverages and cool desserts. Check out our all-inclusive party or group packages!! Includes one round of Laser Tag. 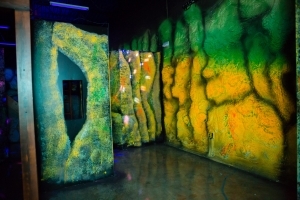 Laser Tag is a great way to build teamwork and morale for organizations of all kinds including businesses, clubs and non-profits. Don’t have enough for a team? No worries. Ask a LakePoint Station team member about joining in and you can be assigned to a team.